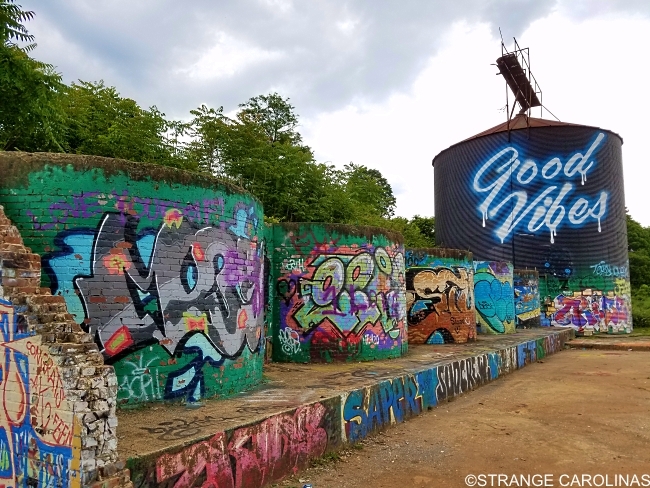 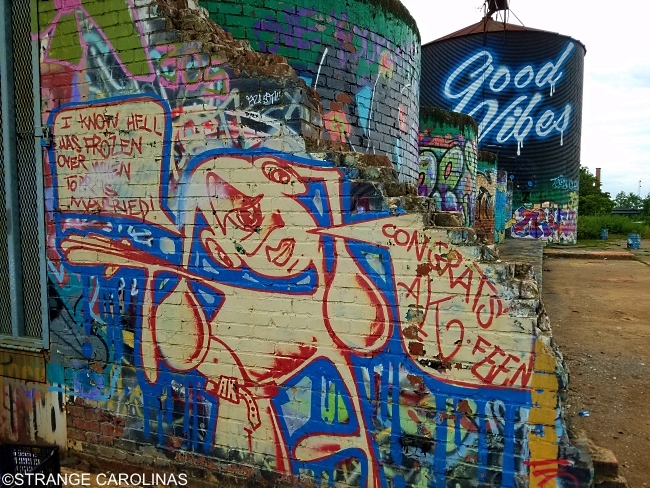 Ian Wilkinson's Good Vibes mural, located near White Duck Taco, is probably the most iconic mural in the River Arts District, if not all of Asheville. 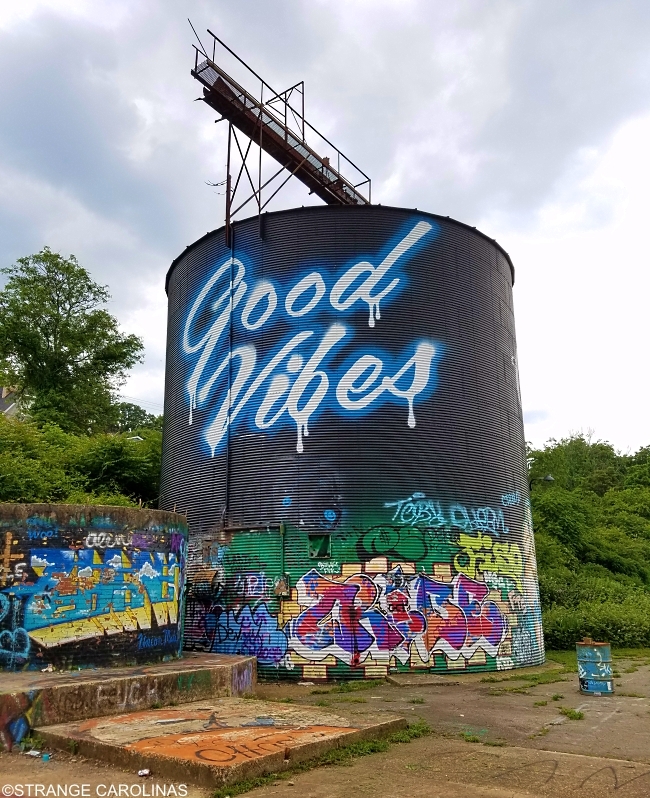 While many photos exist of the Good Vibes silo, its backside is equally uplifting. 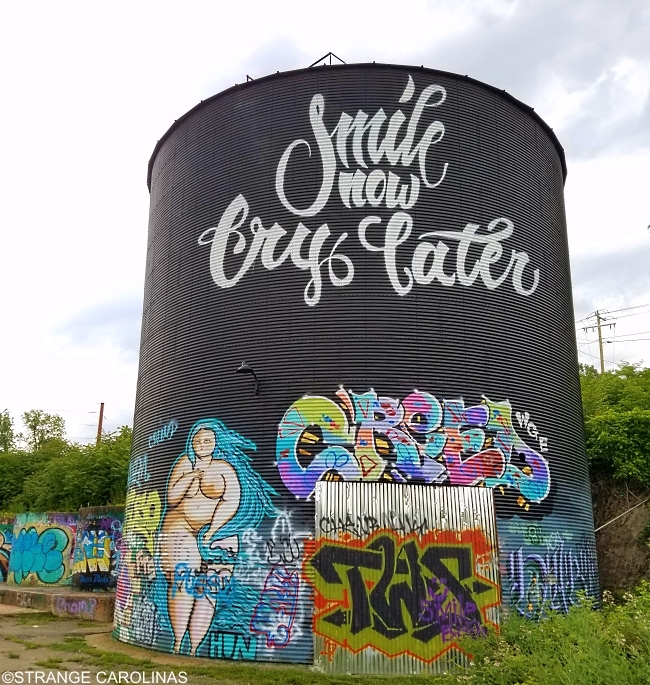 For those willing to walk an extra couple hundred feet, you'll be treated to the "Smile Now, Cry Later" message. 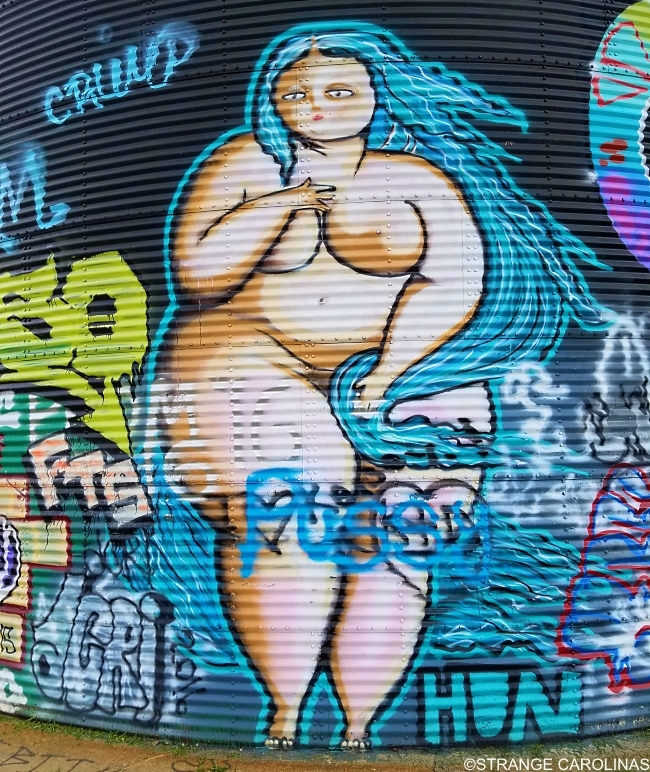 Plus, you can get up close and personal with a piece from Lady Huns.